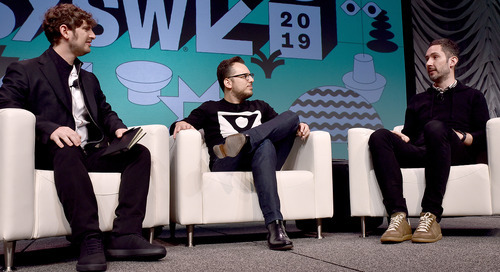 Building on an already impressive 2018 programming lineup, SXSW announces additional Featured Speakers including CNN chief international correspondent Christiane Amanpour, Forerunner Ventures founder Kirsten Green, Vox co-founder and editor-at-large Ezra Klein, serial entrepreneur Loic Le Meur, former New York Yankee Alex Rodriguez, political strategist and commentator Symone Sanders, entrepreneur and venture capitalist Peter Thiel, legendary audio engineer Young Guru, James Beard Award-winning TV personality Andrew Zimmern, and many more. Yesterday, SXSW announced the addition of Sadiq Khan, the Mayor of London, to the Keynote lineup. Khan joins previously announced SXSW Keynotes Darren Aronofsky (Film Keynote), Ta-Nehisi Coates (Convergence Keynote), Barry Jenkins​ (Film Keynote), Esther Perel ​(Interactive Keynote), and whurley ​(Convergence Keynote). 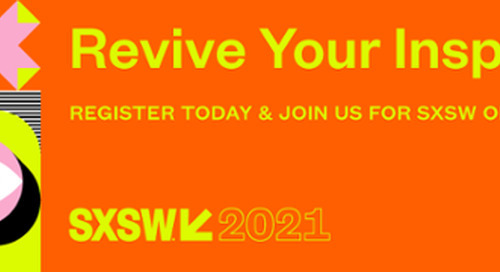 Register to attend SXSW by Friday, November 17 and save. Dive into our speaker lineup below and get ready to explore what’s next in the worlds of film, culture, music, and technology during the 2018 SXSW Conference & Festivals from March 9-18 in Austin, TX. Stay tuned for more programming announcements throughout the season. Sadiq Khan (Convergence Keynote) – Sadiq Khan is the Mayor of London, having been elected in May 2016 with the largest personal mandate in the history of British politics. Khan began his career practicing law with a focus on human rights, then served as a Member of Parliament representing a constituency in south London for ten years. Christiane Amanpour (News & Journalism) – Christiane Amanpour is CNN’s chief international correspondent and anchor of the network’s award-winning, flagship global affairs program Amanpour. She is based in the network’s London bureau. Amanpour’s fearless and uncompromising approach has made her popular with audiences, and a force to be reckoned with by global influencers. Brian Behlendorf (Startup & Tech Sectors) – Brian Behlendorf was a primary developer of the Apache Web server, the most popular web server software on the Internet, and a founding member of the Apache Software Foundation. He has also served on the board of the Mozilla Foundation since 2003 and the Electronic Frontier Foundation since 2013. Behlendorf was the founding CTO of CollabNet and CTO of the World Economic Forum. Most recently, Behlendorf was a managing director at Mithril Capital Management LLC, a global technology investment firm. Daniel Glass (Music Industry) – Daniel Glass is Founder/President of Glassnote Entertainment Group, a full service independent music company that began in 2007. Glassnote Entertainment Group includes Glassnote Records, Insieme Music Publishing, Present Artist Management, and Resolved Records. Kirsten Green (Startup & Tech Sectors) – Kirsten Green used a unique and unconventional blend of professional history and acquired investment experience to launch San Francisco-based Forerunner Ventures in 2010, where she currently serves as Founder and Managing Director. Noticing that emerging purchasing processes were linear and ripe for improvement, Green developed a pacesetter mentality and analytical eye to remain ahead of experience-driven retail trends and identify compelling brand platforms and visionary entrepreneurs. Ryan Holiday and Peter Thiel (News & Journalism) – Ryan Holiday is the best-selling author of Trust Me, I’m Lying; The Obstacle Is the Way; Ego Is the Enemy; and other books about marketing, culture, and the human condition. His upcoming book Conspiracy will be released on March 6, 2018. Peter Thiel is an entrepreneur and investor. He started PayPal in 1998, led it as CEO, and took it public in 2002, defining a new era of fast and secure online commerce. In 2004, Thiel launched Palantir Technologies, a software company that harnesses computers to empower human analysts in fields like national security and global finance. Walter Isaacson (Startup & Tech Sectors) – Walter Isaacson, University Professor of History at Tulane, has been CEO of the Aspen Institute, chairman of CNN, and editor of Time Magazine. He is the author of Leonardo da Vinci, Steve Jobs, Einstein: His Life and Universe; Benjamin Franklin: An American Life; and Kissinger: A Biography. Isaacson is also the coauthor of The Wise Men: Six Friends and the World They Made. Guy Kawasaki and Symone Sanders (Government) – Guy Kawasaki is the chief evangelist of Canva, an online graphic design tool. 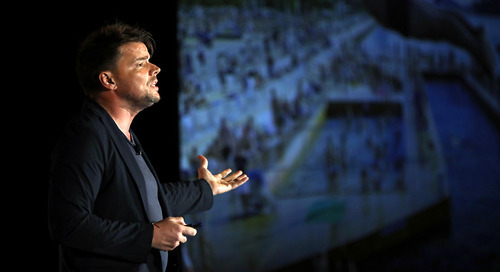 He is a brand ambassador for Mercedes-Benz and an executive fellow of the Haas School of Business (UC Berkeley). Symone D. Sanders is a strategist who rose to prominence during her tenure as the national press secretary for U.S. Senator Bernie Sanders’ presidential campaign. 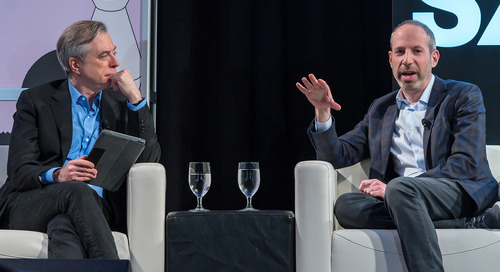 Ezra Klein (Government) – Ezra Klein is the editor-at-large and co-founder of Vox, the news brand from Vox Media known for explaining the news and going deeper into the stories that define the world today. Klein focuses on writing, reporting, and podcasting, and offers creative guidance to Vox’s Emmy-nominated video programming. Dylan Marron (Social Impact) – Dylan Marron is a writer, performer, and videomaker whose work blends social activism and entertainment. He voices Carlos on Welcome to Night Vale and created Every Single Word, a video series that edits down popular films to only feature the words spoken by people of color. Dylan creates, hosts, and produces interview shows like Sitting in Bathrooms with Trans People and Shutting Down Bullsht*, as well as his signature Unboxing series. In his critically-acclaimed podcast Conversations with People Who Hate Me, Marron calls up folks who have said negative or hateful things about him on the internet. Loic Le Meur, Adam Cheyer, Daphne Koller, and Nell Watson (Intelligent Future) – This group of extraordinary leaders and AI experts will discuss and debate the burning questions around AI. Do we need to fear the rapid progress in AI? Does AI replace humans or augment us, and is now the right time to be worrying about ethics, or is it still too early? They’ll examine where AI is being practically applied in industry now, along with the “unexpected” applications. Looking to get into the mix? Hear how to start an AI company and why it is a good idea. What’s next? Learn how biology and medicine are a big AI frontier and more. Ted Leo and Money Mark with Molly Neuman (Music Industry) – The challenges and opportunities in the music business are well documented and discussed. Who are the real leaders taking risks and forging new models of business and careers? How can we have a healthier ecosystem for all? Artists are on the front lines with their fans and community making the case for their careers and offering new ways of running their businesses to positive effect for us all. Matthew Libatique and Snehal Patel (Making Film & Episodics) – Matthew Libatique is a cinematographer best known for his work on Black Swan, Iron Man, The Fountain, Mother!, and Requiem for a Dream. 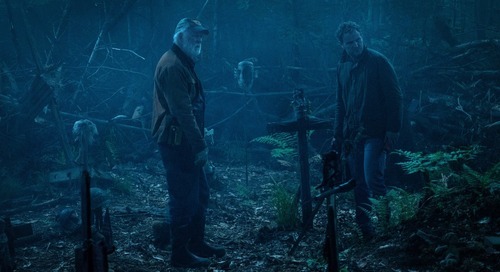 Libatique was nominated for an Academy Award for Best Cinematography for his work on Black Swan, for which he won his second Independent Spirit Award. Snehal Patel is a filmmaker, technologist, and instructor with over twenty years of experience filming video and film. Miguel McKelvey (Workplace) – Miguel McKelvey is the Co-founder and Chief Culture Officer of WeWork, a platform for creators that helps people make a life, not just a living. McKelvey oversees diverse initiatives across the company, ensuring that WeWork’s foundational values are infused into all aspects of the company’s culture, design, products, and operations. Alex Rodriguez with Mark Hoffman (Sports) – Former New York Yankee Alex Rodriguez, one of the greatest players in the history of the game, reflects on his storied career — the highs and the lows — and how he’s leveraging what he’s learned to mentor a new generation of sports stars on his new CNBC primetime series, Back in the Game. CNBC Chairman Mark Hoffman will moderate the conversation. Bruce Sterling (Startup & Tech Sectors) – Bruce Sterling, author, journalist, editor, and critic, was born in 1954. 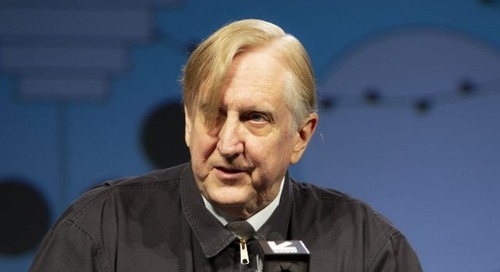 Best known for his ten science fiction novels, he also writes short stories, book reviews, design criticism, opinion columns, and introductions for books ranging from Ernst Juenger to Jules Verne. His most recent book, Utopia pirata – I racconti di Bruno Argento, is a collection of Italian fantascienza stories. Gary Vaynerchuk (Startup & Tech Sectors) – Gary Vaynerchuk is an entrepreneur, four-time New York Times best-selling author and CEO of VaynerMedia. Vaynerchuk is also a prolific angel investor and co-founded VaynerRSE, a $25M investment fund. Currently, he hosts two shows on his YouTube channel, #AskGaryVee and #DailyVee. Wendy Williams (Music Culture & Stories) – Wendy Williams is a media mogul, actress, comedian, entrepreneur, designer, and New York Times best-selling author, who is best known for her long-running Daytime Emmy® nominated talk show, The Wendy Williams Show. Prior to achieving success in daytime television, Williams built a devoted fan base throughout a successful 23-year career in radio, with, The Wendy Williams Experience, being a top-rated daily radio show. 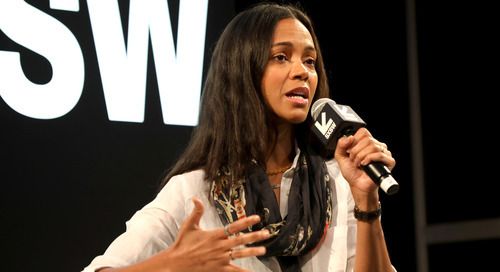 Williams will discuss female empowerment in the entertainment and music industries. Young Guru (Music Industry) – The Wall Street Journal calls Young Guru “the most influential man in hip-hop you’ve never heard of.” Often referred to as “The Sound of New York,” legendary audio engineer, Gimel “Young Guru” Keaton is most known for his work behind the boards with Jay Z. Guru’s ability to communicate complex technical terms, not only to artists but students, creatives, and business professionals alike, has led to his reputation as the foremost leader bridging the gap between hip-hop and the tech community. He works tirelessly to help music and brands intersect in fruitful ways in his role as Chief Music Strategist at the advertising agency The Marketing Arm. Through his love for technology and innovation, Guru co-founded Era of the Engineer – a social enterprise designed to shed light where culture and technology intersect. Andrew Zimmern (Food) – A four-time James Beard Award-winning TV personality, chef, writer, and teacher, Andrew Zimmern is regarded as one of the most versatile and knowledgeable personalities in the food world. 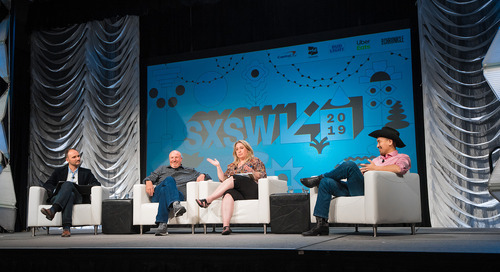 As the creator, executive producer, and host of the Bizarre Foods franchise on Travel Channel and Andrew Zimmern’s Driven by Food, he has explored cultures in more than 170 countries, promoting impactful ways to think about, create, and live with food. 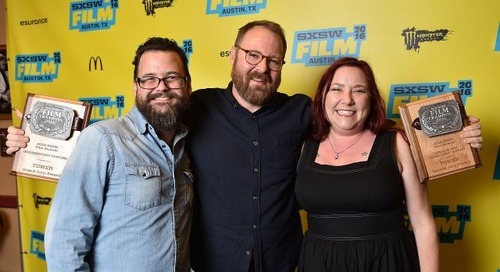 Explore new opportunities during 10 days of sessions, screenings, showcases, exhibitions, networking, and beyond from March 9-18 at SXSW 2018. 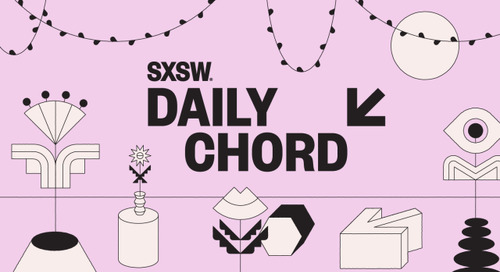 With expanded access to events for all registrants, attendees will receive primary access to programming associated with their badge type but now also enjoy secondary entry to most other SXSW events. Save big when you register before Friday, November 17 at 11:59pm PT. 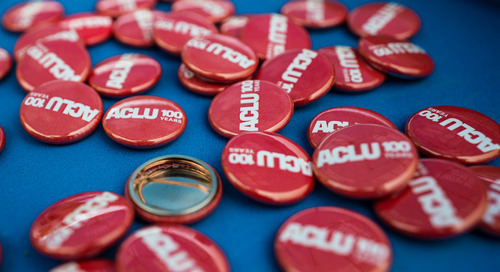 Take the Tracks Quiz to generate the perfect badge for you. Maximize your SXSW experience with the Platinum Badge which grants primary access to all of SXSW. Download the SXSW GO app and use the online schedule to browse the full lineup of confirmed programming and build your own personal schedule for SXSW 2018. Stay in the SX know throughout the season as more exciting programming is announced – sign up for SXSW Event Updates and follow us on Twitter, Facebook, and Instagram. 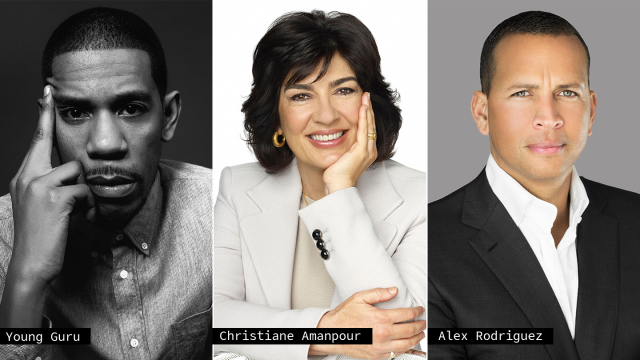 2018 Featured Speakers (l-r) Christiane Amanpour – Photo courtesy CNN; Young Guru – Photo courtesy the speaker; Alex Rodriguez – Photo courtesy of the speaker. 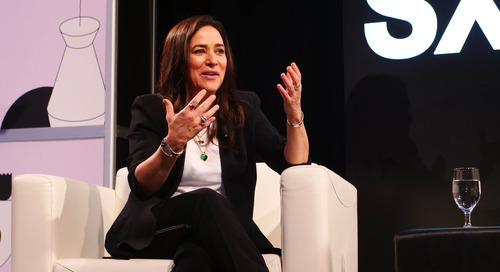 The post Christiane Amanpour, Young Guru, Alex Rodriguez & More Featured Speakers Announced for SXSW 2018 appeared first on SXSW.